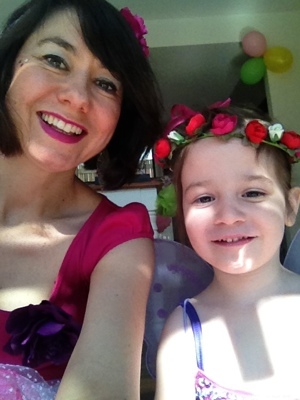 Day 252 – TUTU much fun! Fairies come all shapes and sizes, as I’m sure you know, so we started off our day as the big fairy and the birthday fairy. 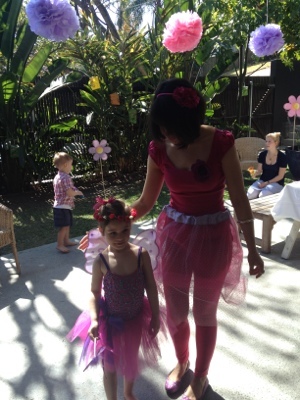 And today was finally fairy birthday party day. 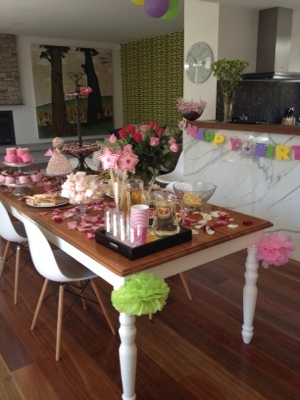 The house was all dressed up and the party food was ready and I got to be a kid again as my baby cousin turned 4. In my Topshop T – a present from my sister Christmas 2006 – and Supre tights purchased 2009 for a Pinkalicious party I was ready to party with my new tutu I whipped up nervously yesterday hoping the concept in my head would translate to fairy splendour. I learnt a couple of handy lessons for next time but was pretty excited I could do it by myself. Back to sewing school tomorrow for more handy sewing tips! 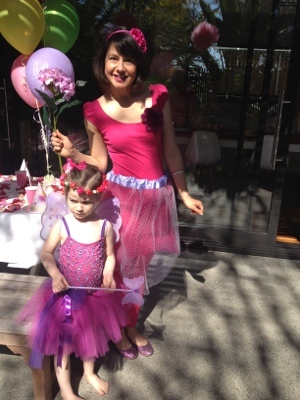 Posted in Brisbane Fun, character outfit, fashion and tagged fairy party, spring. Bookmark the permalink.